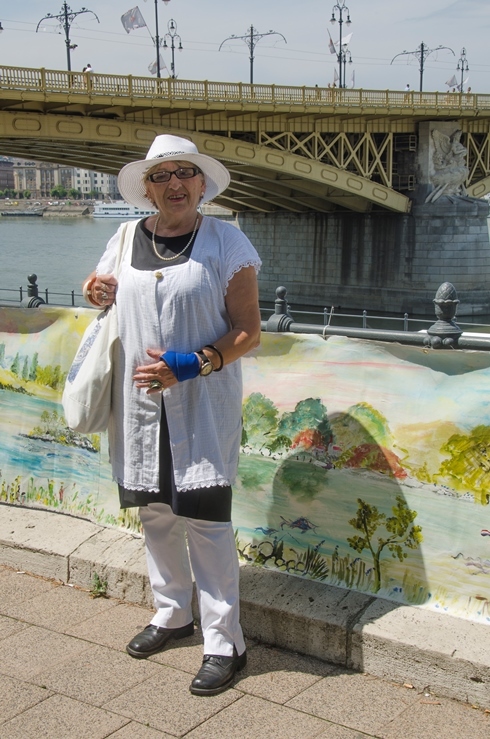 In an effort to raise awareness and spread the message: “Can you see how amazing nature in and along the of the Danube is?”, Ana Tudor, an artist living in Serbia, immortalized on a 1km-long linen canvas the unique nature of the Danube River and its endangered plant and animal species. 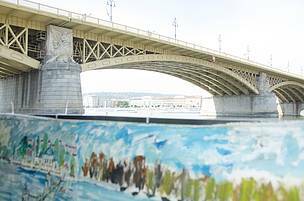 In the beginning of the summer, the longest landscape painting of the Danube left from the river’s source in Donau Eschingen, Germany, to reach its final point – the Black Sea. During its trip along the Danube the exhibition is stopping in 13 cities in different countries – Germany, Austria, Hungary, Serbia, Romania, and Bulgaria. The project called “Art of Danube” is funded with the assistance of the Association for Wildlife Protection (Verein zum Schutz wilder Tiere e.V.). 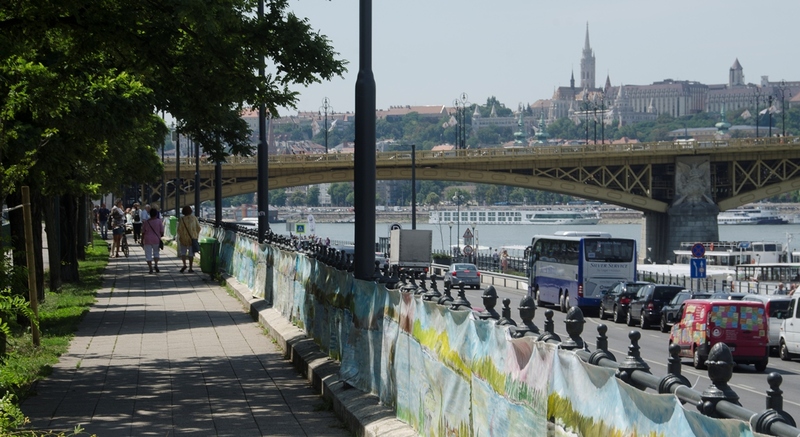 Why is the world’s longest painting of the Danube significant? The acrylic painting presents the Danube River’s unique and wonderful landscapes as well as its endangered animals and plants. The painting took Ana Tudor three years to complete. WWF-Serbia helped with information about endangered species depicted in the painting. Why did you decide to use this approach to reach people? I think the painting itself already shows how wonderful nature along the Danube is and how important it is to protect it. We decided to use the painting for our project, because art is a different way to reach people. Art has the potential to reach people who maybe can’t be reached through a regular campaign. But we also want to continue to be a platform for local artists and environmental groups who are connected to the Danube. Our message is “see how amazing nature along the Danube is”, and our goal is to show how important it is to protect it and to keep its diversity. Where can we see the painting – which countries and cities do you pass? We have had exhibitions and events in Germany, Austria, Hungary, Bulgaria and Romania. Our next stops are Galati, Braila, Vukovar and Belgrade. We started on the 8th of July in Donaueschingen at the source of the Danube and our last exhibition was in Belgrade and took place on the 11th of August. 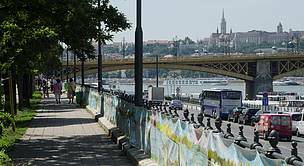 What other activities do you have, related to the Danube River? During our project and the exhibitions, we have had workshops, film screenings, nature walks, live concerts and other events. We are impressed with how many interesting and involved people we have met along the Danube and how many beautiful places we have visited. AWP is a non-profit organization established in 2011 in Germany, whose primary goal is to protect endangered animals. They organize and support conservation projects worldwide, many of them in collaboration with WWF.